The Toyota Camry is easily one of the most popular sedans here in the Doral, Kendall, Hialeah, and Miami areas. If you think it might be a good choice for your next car, a bit of research ought to firm up your decision. 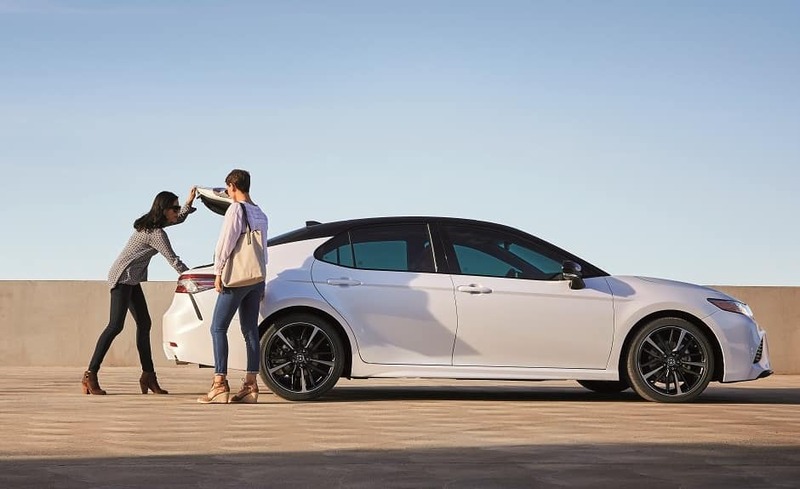 The Doral Toyota team has put together this library of Toyota Camry research articles to help you learn more about the sedan’s finest qualities. Read on to see what it really has to offer. The Toyota Camry possesses many enticing facets. It has a powerful engine, excellent infotainment options, and smart standard safety options. One might say it’s the full package, in terms of sedan appeal. This research library contains performance and interior reviews, vehicle comparisons, and much more to show you the complete Camry picture. Reviews are helpful if you’re looking to learn more about one specific area of the vehicle, say the safety or the interior technology. Comparisons, on the either hand, are meant to show you how the car’s performance holds up against other top models in its class. These articles are all free to read. Just click on any of the links found on this page to get started. Want a sneak peek of what the 2019 Toyota Camry has to offer local drivers? Here are what we consider some of its finest qualities. The standard engine in the Camry is a 2.5L Dynamic Force 4-cylinder. It’s capable of producing 203 horsepower and 184 lb-ft of torque. In every trim of the Camry, you’ll find Toyota Safety Sense™, a driver-assisting suite that uses sensors and cameras to predict when collisions may occur and act autonomously to prevent them. Entune™ 3.0 Audio with the App Suite is standard in the Camry. This includes hands-free calling and texting, wireless phone integration with Apple CarPlay®, and Wi-Fi Connect® powered by Verizon. Reading is only the first step in the Toyota Camry research process. Step two involves getting behind the wheel for a firsthand taste of what this sedan can do. Doral, Hialeah, Kendall, and Miami drivers can contact our team to take the Camry for a spin. Contact the Doral Toyota team online or over the phone to schedule your test drive.